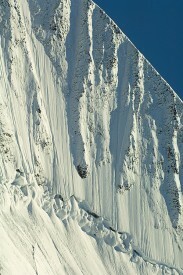 It’s all about the St. Elias Mountains. 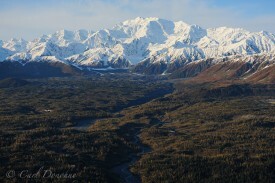 The St. Elias Mountains are some of the most rugged mountains in the world. The world’s tallest coastal mountain range, there are six mountains over 5000m (just over 16 000′) tall. 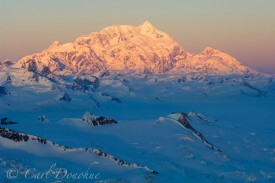 The St. Elias Mountain Range is home to the highest mountain in Canada (Mt. Logan, 19 551′), the second highest mountain in both Canada AND the US (Mt. St. Elias, 18 008′, sits on the border of the two countries), the 3rd highest mountain in Canada (Mt. Lucerne, 17 147′) and the fourth highest mountain in both Canada (16 971′) and the US (Mt. Bona, 16 421′). 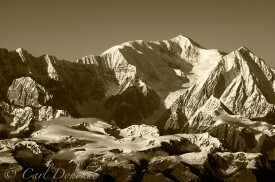 For good measure, the St. Elias Mountains are also home to mountain number five in Canada, mt. Steele, 16 644′. Not a bad little portfolio to have. The St. Elias Mountains are largely tectonic, though there are some volcanic mountains in the north and western reaches of the Saint Elias Range (Mt Bona is the tallest volcano in the US). All this altitude and proximity to the warm coastal air of the Pacific Northwest brings snow. Lots of snow. And with lots of snow and big altitude comes ice. 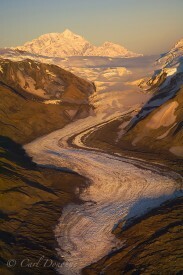 The Saint Elias Range is home to the most extensive ice field and glacier complex in any non-polar region in the world. Bagley Icefield is over 135 miles (200km) long and over 3000’ (1km) thick. 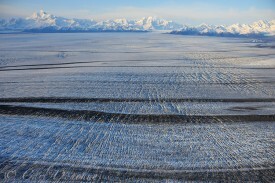 Bailey combines with the Bering Glacier to form a region of 1900 sq miles ( 5200 sq km) of ice. 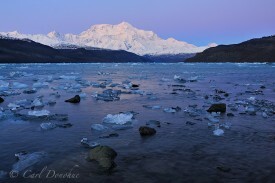 Ice loss from the Bagley Glacier is measured to actually cause earthquakes. The weight of the glacier is so great that it compresses the earth’s crust, destabilizing the boundary between the two plates it sits on (the North American and the Pacific Plates). 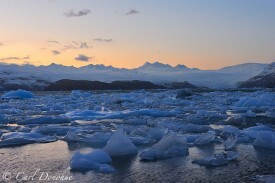 As the glacier loses mass and weight, the crust decompresses. Rocks move more freely along the faults and the result is more earthquakes. Malaspina Glacier is the largest Piedmont Glacier in the world. With recent changes wrought on by climate change, it appears to now be the largest tidewater glacier in the world, as the toe of it near Sitka Bluffs reaches the tidal waters of the Pacific Ocean. The glacier is so large that the ice loss of just this single glacier between 1980 and 2000 is estimated to equal a contribution of one half of one percent of the rise in global sea level. 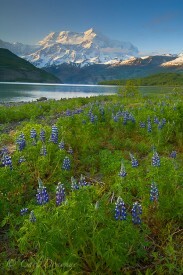 Lupine fields and the calm waters of Icy Bay sit beneath the towering peak of Mount. St. Elias, an 18 008′ peak, 2nd highest peak in Canada, 2nd highest peak in the US (it sits on the border of both countries). Mount Saint Elias, 18 008′ high, stands tall in the evening light over an unnamed glacier, Wrangell-St. Elias National Park, Alaska – aerial photo. 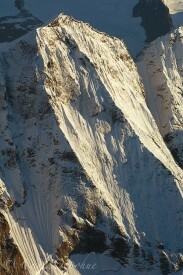 Shadows and light play on a sheer vertical wall in the Saint Elias mountain range, Wrangell-St. Elias National Park, Alaska – aerial photo. Mount Saint Elias, 18 008′ high,catches the last of the sun’s rays for the day, Wrangell-St. Elias National Park and Preserve, Alaska – aerial photo. 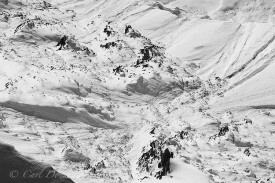 Looking directly down upon an unnamed peak, in the Saint Elias mountain range, Wrangell-St. Elias National Park, Alaska – aerial photo. 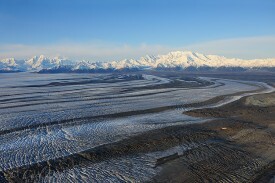 Malaspina Glacier at last light, showing medial moraines and expansive plateau of the glacier toward the Saint Elias Mount Range, including Mount St. Elias, Mt Augusta, Mt. Logan and Mt. Cook. 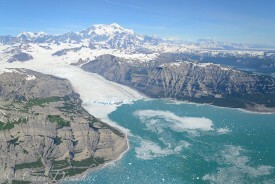 Malaspina Glacier, Wrangell – St. Elias National Park and Preserve, Alaska. Aerial photo. Late afternoon light strikes Mt. Bona – an aerial shot, converted to black and white in post-processing. Wrangell – St. Elias – Yahtse Glacier calving in to the cold waters of Icy Bay, with icebergs floating around the toe of the glacier. Mt. St. Elias, 18 008′ tall, rises in the background. 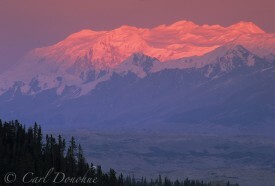 Alpen glow on Mount Logan, seen from the Chitina River basin, Wrangell-St. Elias National Park, Alaska. Icebergs on the shore at Icy Bay, the Guyot Hills in the background and the last light of the day, after sunset. Icy Bay, Wrangell – St. Elias National Park and Preserve, Alaska. 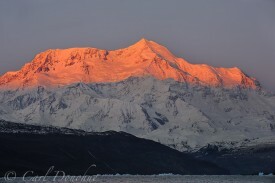 Mount Saint Elias glows in the soft after dusk alpenglow of the winter sky. Icy Bay in the foreground is littered with scattered icebergs, remnants from the many glaciers in the area. Strong evening alien glow on the peak of Mt. St. Elias. Marbled moraines on the edge of the Malaspina Glacier, below towering Mt. Cook, in the Saint Elias Mountain Range. Mount Cook, Wrangell – St. Elias National Park and Preserve, Alaska. Mt. 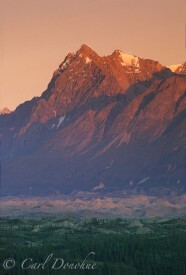 Cook and the Saint Elias Range. 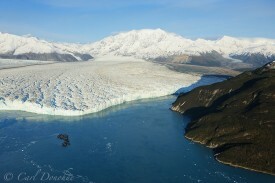 Gilbert Point, the Hubbard Glacier and Mt Seattle, Disenchantment Bay, Wrangell – St. Elias National Park and Preserve, Alaska. Aerial photo. Unnamed Peak catching the sun’s final rays of the day, Chitina River, Logan Glacier, Wrangell-St. Elias National Park, Alaska. 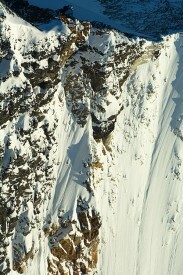 An aerial photo showing a small couple of ridges on an unnamed mountain in the St. Elias Range.